Thoughts about what comprises a VALUE ADDED STEM Education: Use Growth Mindset and Divergent Thinking – Ruth Catchen Reach for the Stars! STEM means different things to different people and as an educator, I need to be sure everyone is on the same page in beginning to implement STEM and intertwine it into the classroom. STEM itself is a group of integrated disciplines through which students can learn all subjects. 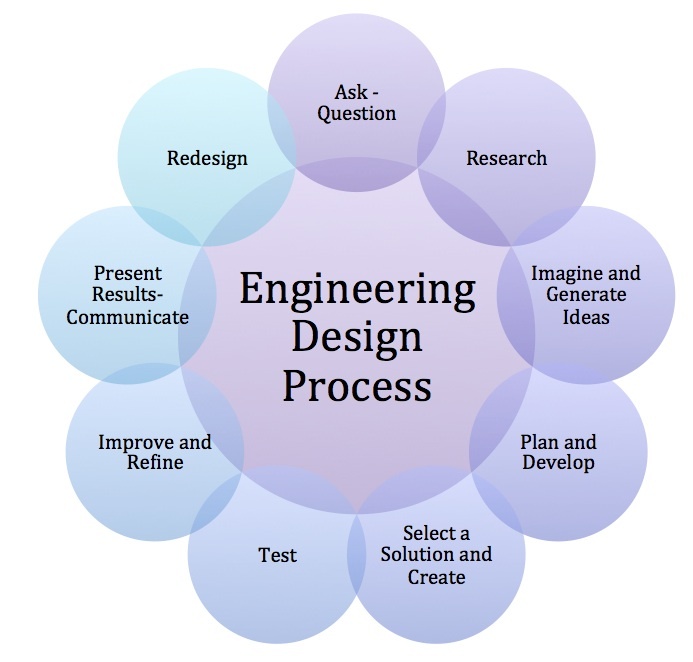 It is a protocol for learning based on the fundamental engineering design process. Through this process students can become STEM Literate and ready to be resourceful, contributing citizens. One of the biggest factors to consider and understand when learning about what STEM education really is and what it does, is to consider the value added to what already exists. If there is no value added then why bother? STEM education provides an opportunity for the total to be greater than the sum of its parts. In other words, there is tremendous value added. There are several pieces to all of this for it to work well. It is understood that the STEM subjects do not exist singly or in pillars, but they are each a part of one another. We need to grasp what people do in their jobs and the kind of creativity and thinking that is required. In addition, there must be a pipeline that extends from preschool education through secondary and higher ed, possibly graduate school to the workforce. Each of the components of the pipeline must inform each other and collaborate to the best end. In other words, teachers, parents administrators, workforce and industry professionals must all be at the table. They must demonstrate collaboration and communication to a creative result critically thought out by all for the best interest of the education and success of the next generation. We must understand what art and science have in common and foster both. The arts exist for the art’s sake but also for the hands-on experience to learn about our world. We must learn to use the facts produced by science and apply them to the creativity spawned by the arts. We must understand convergent and divergent thinking. Convergent thinking is that which offers a definite unchangeable answer to a problem, such as in math 2 + 2. Also, one uses this strategy on multiple choice tests to discern the best or correct answer. Convergent thinking may be a useful cognitive option, but by definition it is limiting. Divergent thinking, on the other hand, opens the door to possibilities. It allows one to use information to discover what all the prospects might be. One can look to discover options rather than choosing from given choices. Research and brainstorm all the possibilities instead of believing there are only the finite choices from which to select. Convergent thinking opens the door to creativity, imagination and as a result, innovation. I believe as an educator, parent or citizen, it is helpful to believe in the growth mindset. Carol Dweck is the author of the book MindSet and explains the concepts of fixed mindset vs. growth mindset in this video. Here is an interview with Carol Dweck about her MindSet concept. The concepts of both divergent thinking and growth mindset are fundamental to STEM education. Foster and encourage talent on all levels and create motivated, successful students. STEM education doesn’t need all new materials and textbooks. It reorganizes and re-prioritizes what we do. Real world tasks and problems can be solved without new textbooks and materials. What is needed is creativity and practicality in what we offer students and to show them how learning connects them to the real world. We need to add the human component of people with life experience to reach the multi-levels of each subject matter. Industry professionals and teaching professionals must collaborate. STEM education creates a value added education in which students can expand and grow their potential and explore their dreams. This protocol creates life long learners who will be resourceful, STEM literate citizens. Ruth, Brilliant reflection. 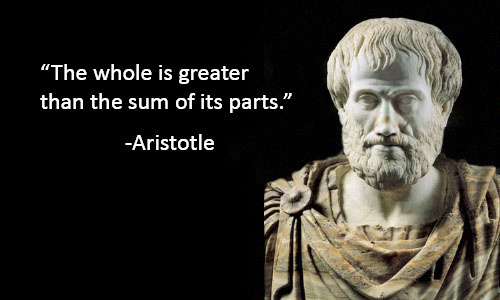 I love the Aristotle quote at the end. I would challenge that value added also brings an ethical component. All acts of creation in the physical universe or a shared virtual space necessary destroy (even the Mona Lisa destroyed a blank canvas upon which lay thousands of possibilities). Should value-added be a current that lifts our kids to the heights of surveying possible consequences and implications to their divergent thoughts. Thanks Ellen. Great feedback. I agree that any action or decision has consequences and that the possibilities must be weighed and compared. Ruling in certain things rules out other things. Part of making students resilient and resourceful is using critical thinking skills to make these choices. How wonderful would it be to thoroughly understand possible consequences before we take action? Making choices that have an ethical consequence is an important part of the critical thinking process, IMHO. Thanks again for your thoughts. Reblogging this post from a while back. with all of the hype around STEM and what it is and how to do it, I think it is worthwhile to consider what the goal(s) really are.